carne517 wrote: Well, I didn't track it down. It just kind of popped up from a guy selling other things. Another person is selling something far more weird that I won't be purchasing. I'm ok with weird. Not tracking it down, takes most of the creepyness out of it IMO. So what is the weirder item for sale!? love_islander wrote: That kind of seems odd to track that down... Cool to get your hands on something like that though if that's what you're into! I totally agree. Just not something I'd be comfortable with having as I'm just a fan and have no personal relationship with them or their families. Very weird. I recall people just dying to get just the buttons and thought that was equally as weird. But like you said, if that's what one's into. People are into all kinds of weird things...according to me. And yeah! What was said above about the dumpster divers! That shite is hilarious! And there were actually people who bought these garbage items, right!? It doesn't seem strange to me that someone would buy that wedding invitation. If it's out there, someone's bound to collect it. What puzzles me is how it ended up on the market. Why would someone who was there, who was part of such a special, meaningful, presumably emotional occasion, try to make a buck off of it? Unless they just gave it away to someone else, and that person put it up for sale. It's like the mementos from the memorial to Ikey. Did it mean so little to someone who was there? 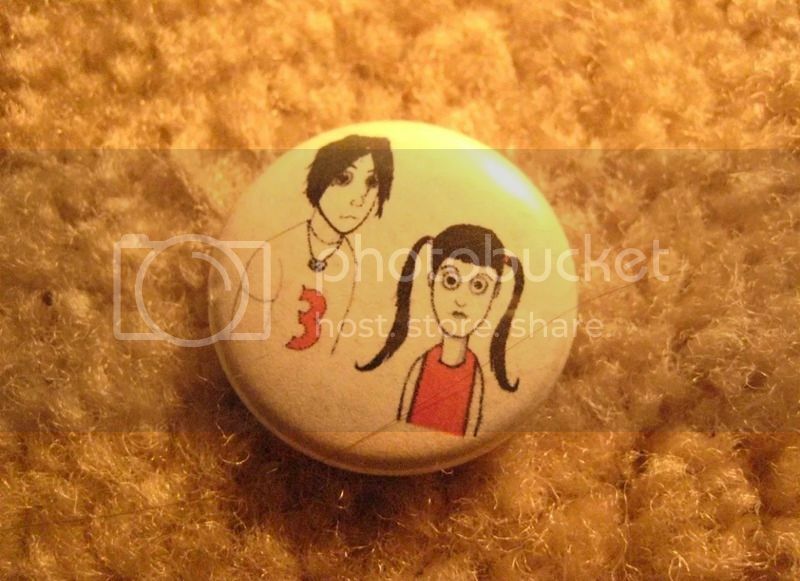 Anyone have any details about this pin? Only thing I can think is it might be is a local Michigan or Indiana radio station had them made to promote WBC. Here's a cool poster I was able to pick up recently. I'm not really a low # print guy but I guess it's a bonus that it's #1/25. I'm always looking for early flyers, posters, and other concert pieces- especially from before 2002. Contact me anytime. 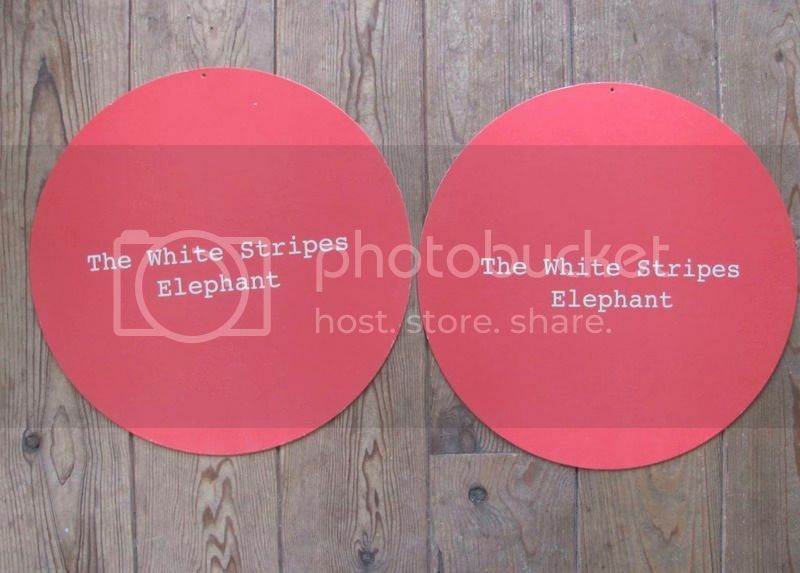 Wanted: Early career White Stripes concert posters and ephemera. Cool poster - thanks for sharing! 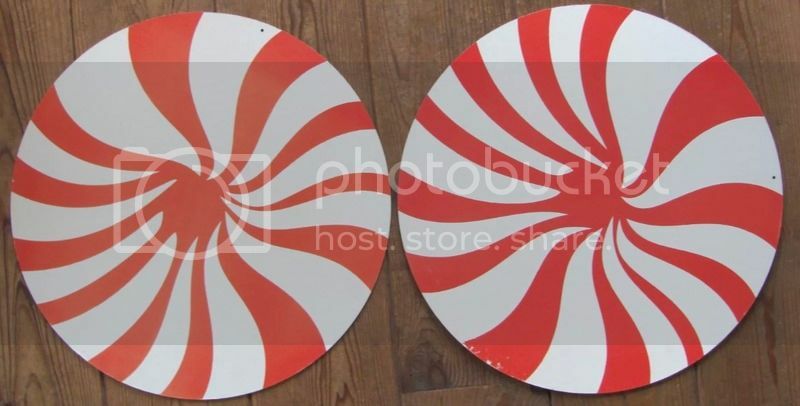 Are these slipmats or just promo circles of cardboard? And that swirl has been used on a pin as well. The swirl is made up of elephant tusks. Dig the signed poster Maxman! 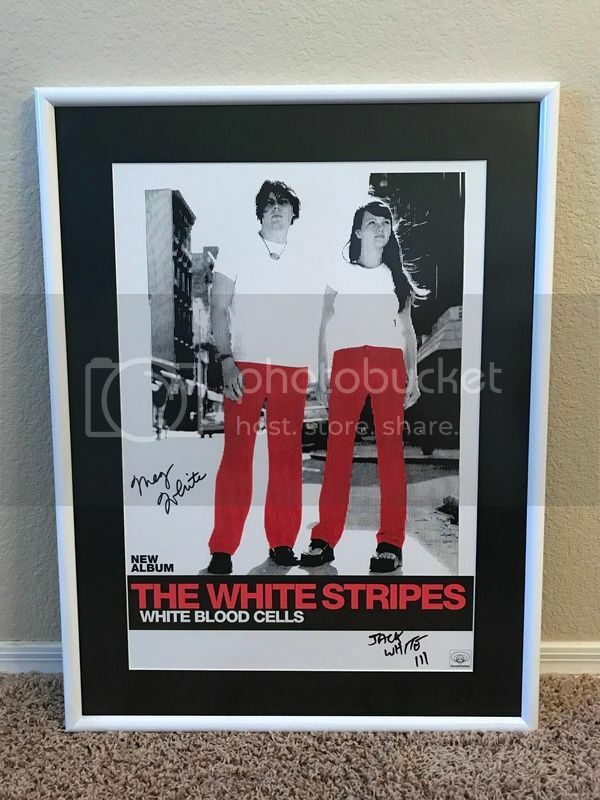 I have that poster, although not signed, and it's actually one of my favourites. srmussell wrote: Dig the signed poster Maxman!